Between 2012 and 2016 Connect! 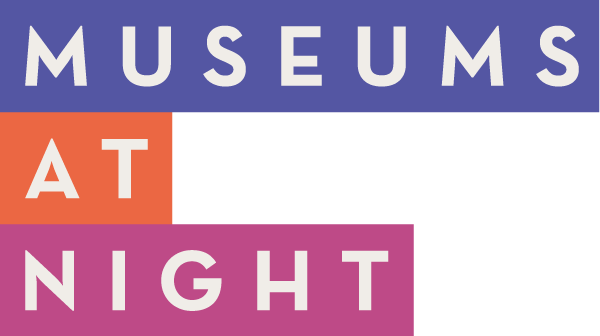 (and Connect10 before it) matched 42 venues and artists to produce participatory contemporary art events in Museums at Night. The collaborations were brought about by the public voting for the favourite venue/artist match up. The venue with the most votes won the artist. Of the six original artists two, Susan Hiller and Karen Mirza/Brad Butler, had to be pull out of the project, so the six artists who delivered events were Aowen Jin at Compton Verney, Bedwyr Williams at Somerset House, Marcus Coates at Arnos Vale Cemetery, Peter Liversidge at the Royal College of Nursing, Tine Bech at the Whitworth and Webb-Ellis at the Nunnery. Alinah Azadeh at the Freud Museum, Davy & Kristin McGuire at the Williamson, Gillian Wearing at Backlit, Luke Jerram at the Thelma Hulbert Gallery, Pure Evil at Verdant Works, Yinka Shonibare at the Novium. Alex Hartley at Market Hall Museum, Warwick, Amy Sharrocks at Swansea Museum, Fred Deakin at The Wilson, Cheltenham, Janette PArris at Cardiff Story Museum, Grayson Perry at the Yorkshire Museum, Jessica Voorsanger at 20-21 Visual Arts, Matt Pyke at the National Football Museum, Mr Smith’s Letterpress at the William Morris Art Gallery, Rankin at St Anne’s Allotments, Spencer Tunick at George’s House, Strange cargo, Folkestone. Chapman Brothers at the Jerwood Gallery, Cullinan Richards at the 20-21 Visual Arts, Scunthorpe, Gavin Turk at Bristol Museum & Art Gallery, Julia Vogl at the Discovery Museum, Julian Wild at Enginuity, Martin Creed at the Freud Museum, Mat Collishaw at Backlit, rAndom International at the Horniman Museum, Richard Wentworth at the Manchester Museum, Susan Forsyth at the Rochdale Pioneers Museum & Touchstones Rochdale. Claire Barclay at the Old Operating Theatre Museum, Bompas & Parr at the ss Great Britain, Ryan Gander at the Oliver Holt Gallery & Sherborne Museum, Dorset, Jon McGregor at the Discovery Point, Polly Morgan at the Victoria Art Gallery, Terry O’Neill at the Ragged School Museum, Martin Parr at the Wedgwood Museum, Stoke-on-Trent, Simon Roberts at the Working Class Movement Library, Salford, Bob & Roberta Smith at the Towner, Eastbourne, Susan Stockwell at the Wolverhampton Art Gallery.